Two Heroines Monument, is a monument in Amphoe Thalang, a memorial statue of the heroines Thao Thep Kasattri(Kunying Jan) and Thao Sri Sunthon (Mook), who rallied islanders in 1785 to repel Burmese invaders. As the island’s governor had just died, the organization of Phuket’s defense against the Burmese invasion of 1785 was conducted by his widow, Thao Thep Kasattri. With her sister’s help, they assembled what forces they had, then disguised local women as male soldiers, to make believe to have increased Phuket’s military manpower. After a month’s siege, the Burmese invaders became exhausted and retreated. King Rama I awarded Kunying Jan with the royal title of Thao Thep Kasattri. Hat Patong Patong Beach is Phuket’s most developed beach and is 3 kilometers or 1.9 miles long. 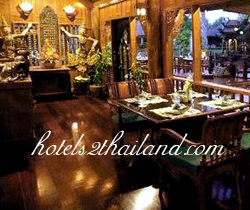 It is located 15 km from Phuket town. 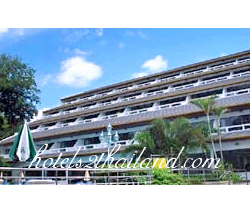 Patong is mostly made up of hotels, restaurants, nightclubs and various tourist attractions. Daytime activities are primarily centered around the beach with many watersport activities. Patong is equally well known for its nightlife, centered around Soi Bangla. Patong is also a shopping option in Phuket selling items such as clothes, fashion accessories or souvenirs. The northern end of Patong Bay is called Kalim and is a popular place for viewing the sunset and between April and September each year for surfing. Hat Karon is the second largest of Phuket’s tourist beaches, approximately 20 kilometres or 12 miles from town. Large resort complexes line the road behind the shoreline, but the broad beach itself has no development. Numerous restaurants and tourist stores are located across the street from the beach. The southern point has a fine coral reef stretching toward Kata and Bu Island. There is also its sister beach Karon Noi. Kamala Beach, Hat Kamala is a large beach approximately 10 miles north of Patong Beach. The beach is undeveloped with coral reefs on the north side and surfing in the low season. It is a tourist beach in the high season and a sleepy seaside Muslim village in the low season. There is a market on Wednesday and Friday nights, as well as a weekly Saturday market. View Point This is located midpoint between Nai Han and Kata beaches. 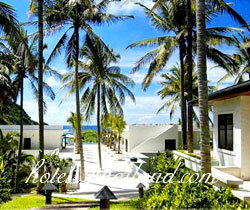 The scenic Kata Noi, Kata, and Karon beaches, and Ko Pu Island can be viewed from this point. 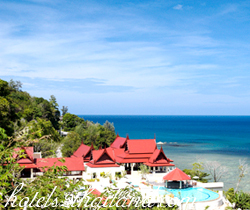 Laem Phromthep Phromthep Cape is a headland forming the extreme south end of Phuket. “Phrom” is Thai for the Hindu term “Brahma”, signifying purity, and “Thep” is Thai for ‘God’. Local villagers used to refer to the cape as “Laem Chao”, or the God’s Cape, and it was an easily recognizable landmark for the early seafarers traveling up the Malay Peninsulafrom the sub-continent. Wat Chalong is where stands the cast statue of Luang Pho Cham, who helped the people of Phuket put down the Angyee, or Chinese Coolie Rebellion, in 1876 during the reign of Rama V. There are also statues of Luang Pho Chuang, and Luang Pho Cham, abbots of the temple during later times. Khao Phra Thaeo Wildlife Conservation Development and Extension Centre is a center for study of the environment. Its duty is to promote and distribute wildlife within Khao Phra Thaeo wildlife park. The park is full of forest and also actively conserves a number of wild animals that would otherwise be extinct in Phuket. The Big Buddha of Phuket Phra Phutta Ming Mongkol Akenakiri or Ming Mongkol Buddha, is located on the peak of a mountain near Muang Phuket, or Phuket Town on Phuket Island, Thailand. The image is 45 meters in height and covered in white Burmese marble. At the time these photos were taken, the lotus throne had not yet been sheathed in marble. Outdoor Activities There are plenty of outdoor activities on offer in Phuket, including ATV rides, elephant treks, and some unique outdoor sports such as Frisbee Golf and Football Golf in Chalong. 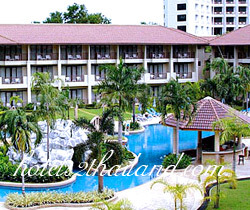 Phuket is the biggest island in Thailand, located in the Andaman Sea of southern Thailand. The island is mostly mountainous with a mountain range in the west of the island from the north to the south. The mountains of Phuket form the southern end of the Phuket mountain range, which ranges for 440 kilometers or 270 mi from the Kra Isthmus. Although some recent geographical works refer to the sections of the Tenasserim Hills in the isthmus as the “Phuket Range”, these names are not found, however, in classical geographic sources. 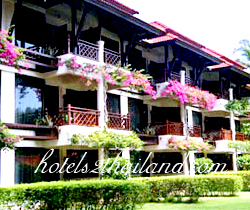 In addition, the name Phuket is relatively recent having previously been named Jung Ceylon and Thalang. The highest elevation of the island is usually regarded as Khao Mai Thao Sip Song, Twelve Canes, at 529 meters or 1,736 feet above sea level. However it has been reported by barometric pressure readings that there is an even higher elevation with no apparent name, of 542 meters above sea level, in the Kamala hills behind Kathu waterfall. Its population was 249,446 in 2000, rising to 525,018 in the 2010 decennial census, the highest growth rate of all provinces nationwide at 7.4% annual, some 600,000 people reside in Phuket currently,among them migrants, international expats, Thais registered in other provinces and locals. The registered population, however, includes only Thais, and the end of 2012 was 360,905 people. 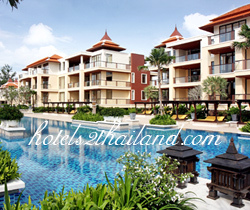 It is estimated that Phuket has a total area of approximately 576 square kilometers or 222 square miles including the province’s other islands. 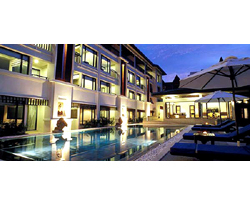 Phuket is approximately 536 miles or 863 kilometers south of Bangkok, and covers an area of 543 square kilometers 210 square miles excluding small islets. Other Islands are : Ko Lone 4.77 square kilometers or 1.84 square miles, Ko Maprao 3.7 square kilometers or 1.4 square miles, Ko Naka Yai 2.08 square kilometers or 0.80 sq mi,Ko Racha Noi3.06 square kilometers or 1.18 sq mi, Ko Racha Yai 4.5 square kilometers or 1.7 square miles, and the second biggest, Ko Sire 8.8 square kilometers or 3.4 square miles. It is also the 2nd most popolated in Mu Ko Phuket. It is estimated that if all its 39 other small islands are included, Phuket Province will cover an area of 576 square kilometers or 222 square miles. The island total length, from north to south, is estimated at 30 miles or 48 kilometers and 13 miles or 21 kilometers wide. Phuket’s topography is exceptional with 70 percent of its area covered with mountains which stretch from north to south and the remaining 30 percent being plains located in the central and eastern parts of the island. It has a total of 9 brooks and creeks but does not have any major rivers. Forest, rubber and palm oil plantations cover 60 percent of the island. The western coast has several sandy beaches, while on the east coast beaches are more often muddy. Near the southernmost point is Laem Promthep Brahma’s Cape, which is a popular sunset viewing point. In the mountainous north of the island is the Khao Phra Thaeo Non-hunting Area, protecting more than 20 square kilometers of rainforest. The three highest peaks of this reserve are the Khao Prathiu which has an elevation of 384 meters or 1,260 feet, Khao Bang Pae which has an elevation of 388 meters or 1,273 feet and Khao Phara which has an elevation of 422 meters or 1,385 ft. The Sirinat National Park on the northwestern coast was established in 1981 and protects an area of 90 square kilometers or 35 square miles plus an additional 68 square kilometers or 42 square miles of marine area, including the Nai Yang beach where sea turtles lay their eggs. One of the most popular as well as overcrowded tourist areas on Phuket is Patong Beach on the central western coast, perhaps owing to the easy access to its wide and long beach. 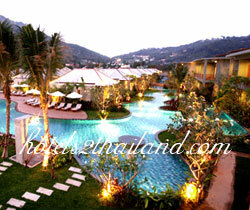 Most of Phuket’s nightlife and its cheap shopping is located in Patong, and the area has become increasingly developed. Patong means “the forest filled with banana leaves” in Thai. Other popular beaches are located south of Patong. In a counterclockwise direction these include Karon Beach, Kata Beach, Kata Noi Beach, and around the southern tip of the island, Nai Harn Beach and Rawai. 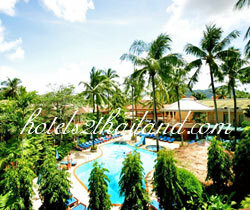 To the north of Patong areKamala Beach, Surin Beach and Bang Tao Beach. These areas are generally much less developed than Patong, and sought out by individuals, families and other groups with a preference for more relaxed and less crowded environs than Patong. There are many islands to the southeast, including Bon Island, just a short boat trip away. There are several coral islands to the south of Phuket, the Similan Islands lie to the north west, andPhi Phi Islands to the south east. Islanders engage in a lively tourist trade, catering to snorkellers and scuba divers.